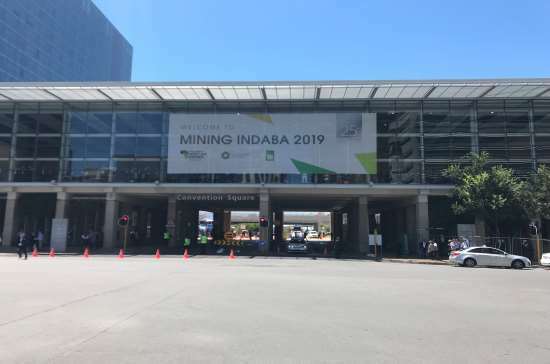 The landmark 25th edition of the Investing in African Mining Indaba kicked off this morning to the delight of the international mining community, who have descended on Cape Town to enjoy Africa’s largest mining investment event. The Mining Indaba’s opening keynote address was delivered by South Africa’s Minister of Mineral Resources Gwede Mantashe, who told the audience that investors in South Africa’s mining sector now have certainty in terms of legislative guidance. Since taking over from Mosebenzi Zwane in February 2018, Mantashe has been instrumental in pushing through a revised Mining Charter, which has been endorsed by the recently rebranded Minerals Council South Africa. “The policy and legislative framework were [in the past] marked with concern about uncertainty,” he said. “That has been addressed and investors coming to South Africa now know what they need to do,” Mantashe added. At the Junior Mining Forum stage, UK law firm Memery Crystal and the London Stock Exchange (LSE) hosted a session on How to List in London, with guest speakers from Resolute Mining and Kropz. The LSE’s head of international business development – primary markets Tom Attenborough reassured the audience that despite looming concerns around Brexit, London remains a robust market for mining firms, particularly those with African assets. “We have 169 mining companies on our market. Nearly 100 have a market cap of US$50 million or below. It’s a thriving market for juniors. Last year, we had 11 mining listings on the LSE, including five from Africa,” he said. Anglo American’s CEO Mark Cutifani underlined his company’s commitment to the process of adopting widespread automation in the mining sector, during a session on the main stage at the Indaba. Anglo expects its employment to grow in line with the company’s growth, although the rate of employment will be lower than previously. Therefore, the firm is targeting five off-site non-mining jobs for every one on-site mining role. The World Gold Council co-hosted an invite only reception titled 25 Years of Gold in Africa and around the world, along with Minerals Council South Africa and This is Gold. Located on the roof terrace at the Cape Town International Convention Centre, guests at the reception were treated to talks from leaders of some of the world’s largest gold mining companies, including Mark Bristow (Randgold), Neal Froneman (Sibanye-Stillwater) and Niel Pretorious (DRD Gold). In a particularly poignant speech, Pretorious called on the gold mining sector to continue acting in a sustainable manner through the next 25 years and beyond. Check back to RGN tomorrow for a round-up of day two at the Mining Indaba.